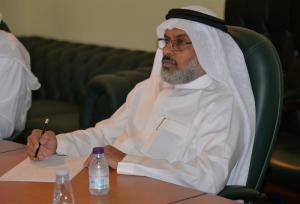 The Tenth Standard Committee held its meeting on Tuesday Rabi` Al-Awwal 12, 1440 A.H. at 1 pm. The Head of the Tenth Standard Committee, Dr. Thamir Al-Harbi, and the honorable committee members convened to discuss the recommendations and improvement priorities sent by the Deanship of Development to prepare for the visit of the external reviewers for institutional accreditation. 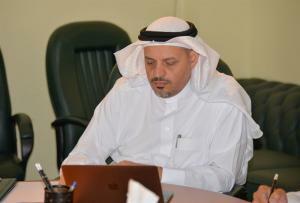 The standard coordinator, Dr. Hanadi Bihiri, gave a brief introduction of the self-studied report designated for the tenth standard, the strongest points, and the improvement priorities introduced by the committee. The recommendations produced by the Deanship of Development were discussed to develop the executive and procedural plan to guarantee the continuity of work and carry out the requirements according to the plan for institutional accreditation.